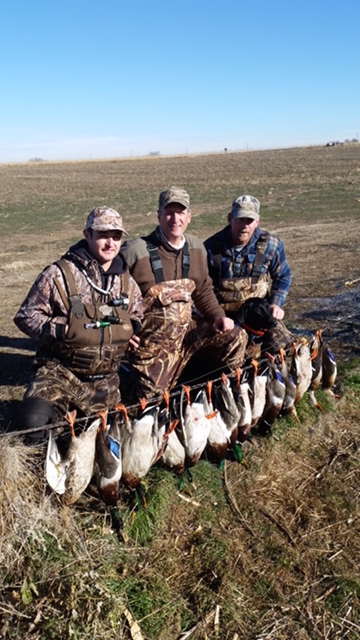 Early and late season duck hunting in Colorado can be exciting and our northern colorado duck hunting club has properties that will put you in the right place at the right time. Our properties are second to none and will receive more than ample rest time. With properties spread from Wellington to Atwood, you’ll be able to take advantage of key areas whenever duck hunting may get tough. With early season open water spots near Wellington, north of Greeley, and near Atwood, you’ll have the opportunity to capitalize on multiple areas of birds. Our rotation and drawing system ensure that properties are well rested and kept in prime hunting condition. One demand from many of our members was the need for a year round property to train dogs and fish. The acquisition of our property north of Greeley provides just that opportunity. You’re welcome to store a boat on the property for your periodic fishing trips and can bring the kids out to enjoy the outdoors in a safe environment. When hunting season arrives, this property gets red hot and fishing and dog training stops. 1-mile of river bottom near Atwood gets absolutely loaded with birds during the cold months. We’ll have 2 blinds installed on this property for everyone to use at their leisure. Field duck hunting can be incredible and it’s widely said that you haven’t lived unless you’ve experienced a field duck shoot. You hear a few quacks and feeder call and, next thing you know, a couple hundred ducks are buzzing your decoys. The only issue is picking one duck at a time to shoot. Our fields can produce quick limits.